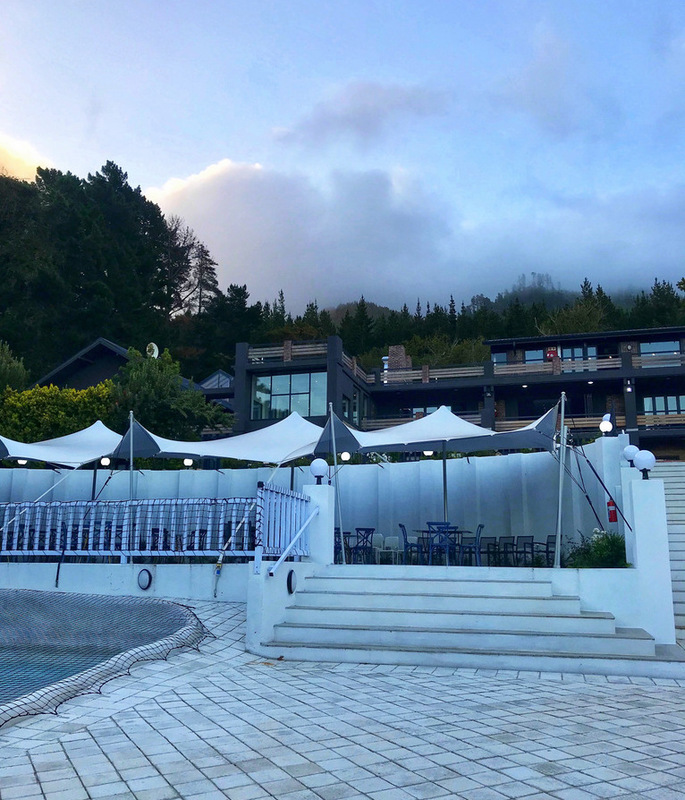 I’ll be the first to admit that I’m a bit of a “town snob”… I therefore very rarely make it out to the southern suburbs (or any burbs for that matter). 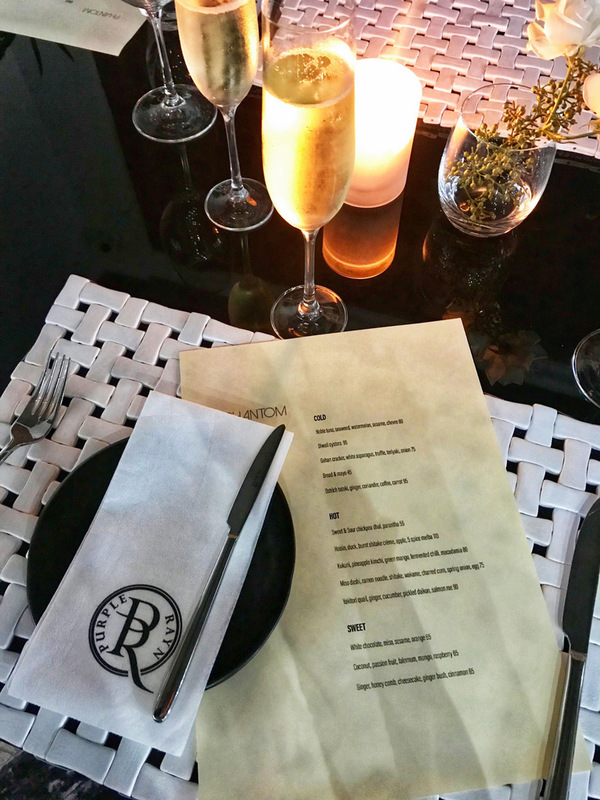 So when I was invited to a media dinner at the Phantom Taste Room at the new Purple Rayn Boutique Guest House in Constantia, I honestly didn’t really know what to expect. Our first look at Purple Rayn Boutique Guest House which has 12 spacious suites as well as a day spa. 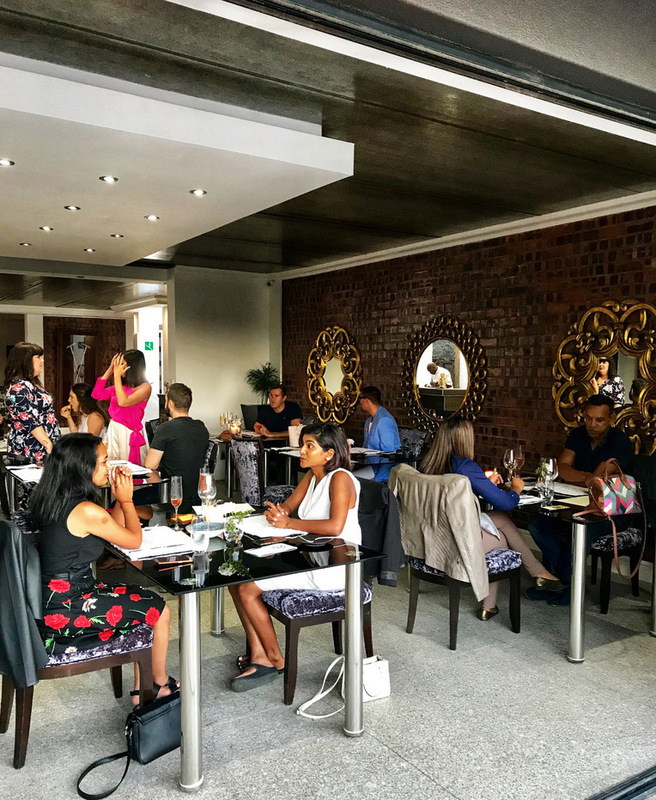 The Phantom Taste room is actually one of 3 restaurants on the property, with the other two being a breakfast & lunch cafe and a rooftop events venue & bar. The decor in the Phantom dining area is a bit 80s-glam-meets-theatre-backdrop, not really my vibe personally, but it definitely brings to life the owner’s Phantom of the Opera vision. On the walls you’ll also find the owner’s collection of ballgowns, framed alongside shoes & accessories to complete each look… If that sounds a little unusual, it’s probably because it is. Then again, it’s also a very unique, personal touch. 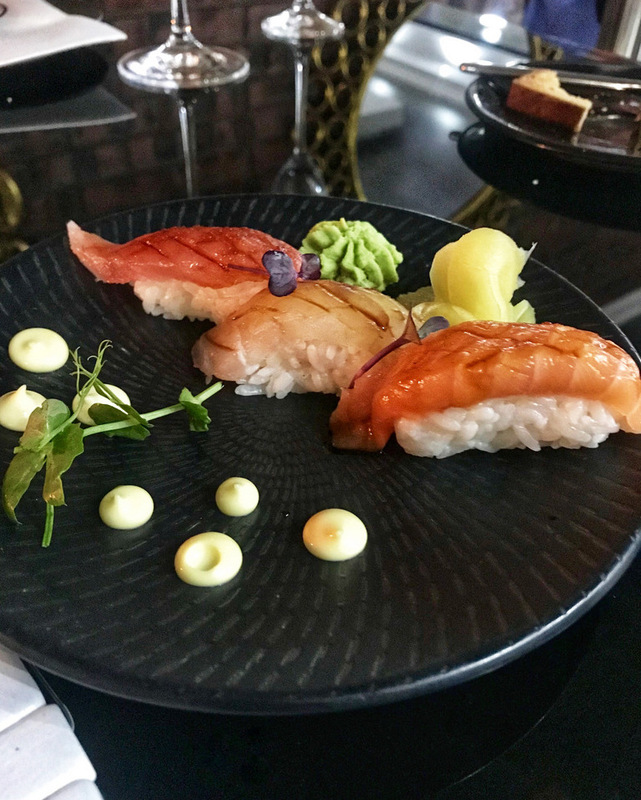 Apart from a sushi bar & cocktail lounge, the Phantom Taste room also offers a tapas menu which I’m told will be updated regularly. On the night we worked our way through almost the entire menu, getting a taste of everything, including a little something from the sushi bar. Price wise – the tapas range from R45 to R110 and are divided into cold & hot dishes. Then there are also 3 dessert options, all priced at R65. Bread & mayo (R45) – a delicious deconstructed mayo which you got to mix up yourself before dunking in a slice of freshly baked bread. I really loved this. 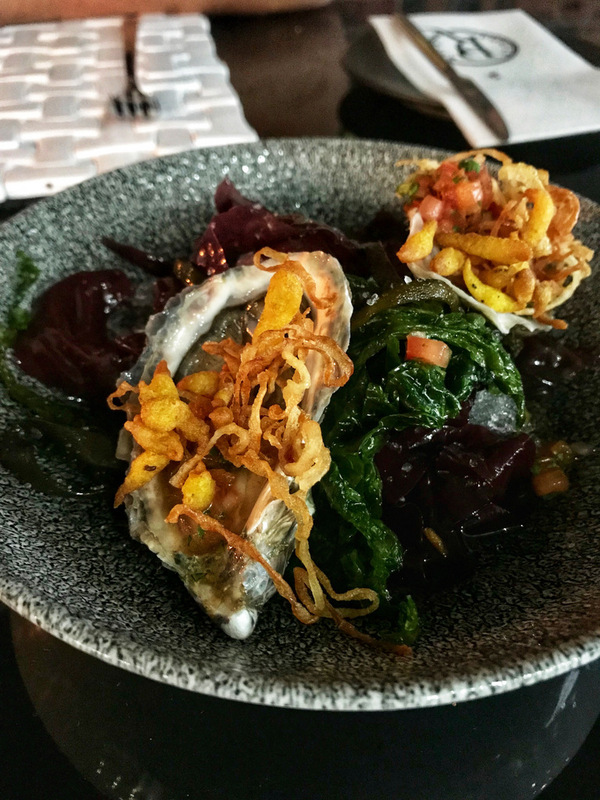 Diwali oysters (R95) – now full disclosure, I really don’t like oysters. But with all the added flavours, these actually went down very well. 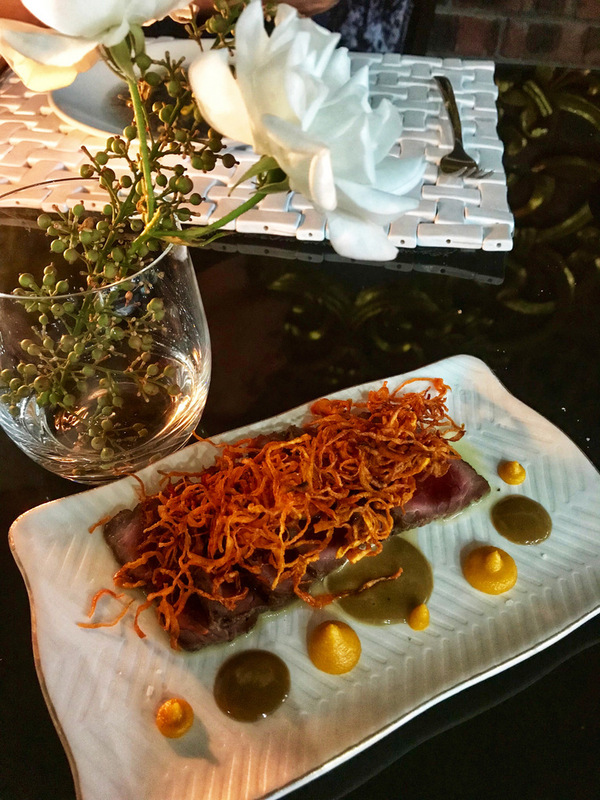 Ostrich tataki, ginger, coriander, coffee & carrot (R95) – really enjoyed this dish as well, just wished there was a little more on the plate. Some nigiri from the sushi bar… after this teaser, I would definitely be interested in trying some more things from the sushi bar. 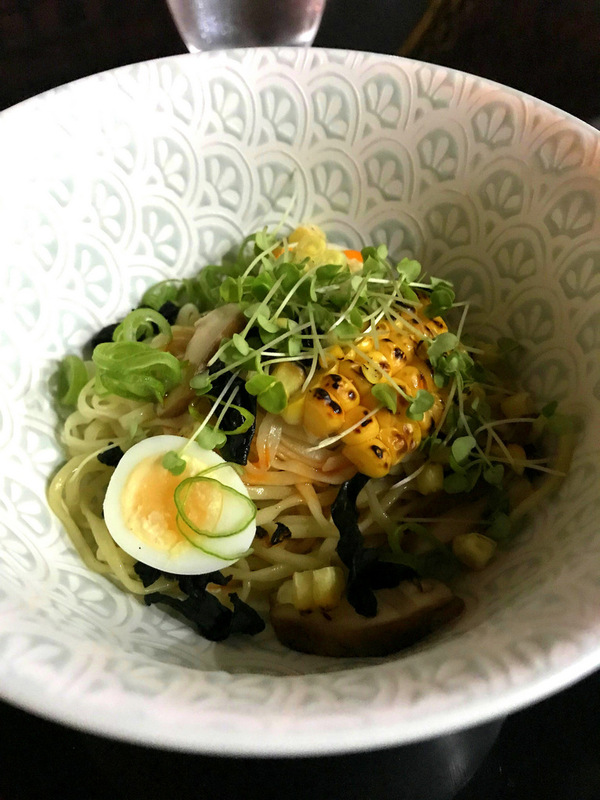 Miso dashi, ramen noodle, shitake, wakame, charred corn, spring onion & egg (R75) – this was the only dish I wasn’t a big fan of. It had nice elements, but was just a bit bland overall. 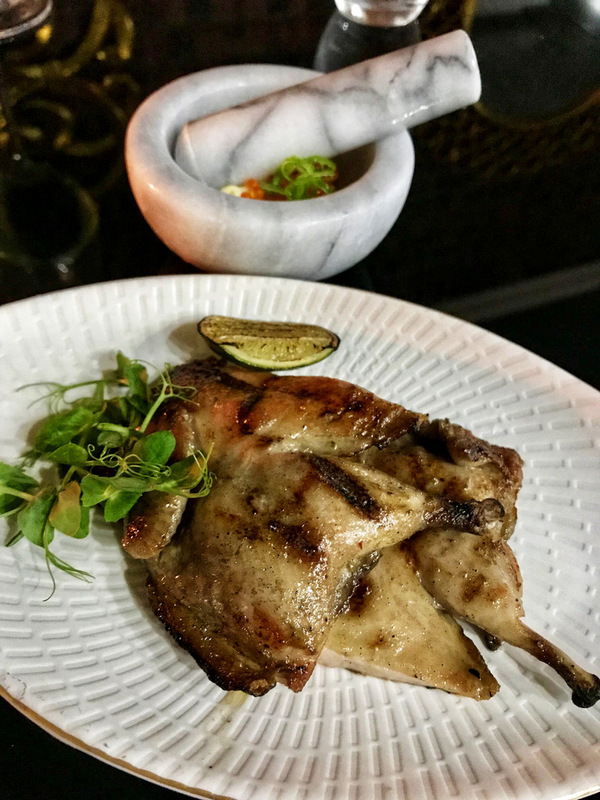 Yakitori quail, ginger, cucumber, pickled daikon & salmon roe (R90) – I do love me some quail. A very expensive (and rare) treat normally, this dish paired with the salmon roe which you grind into a sauce was really very tasty. 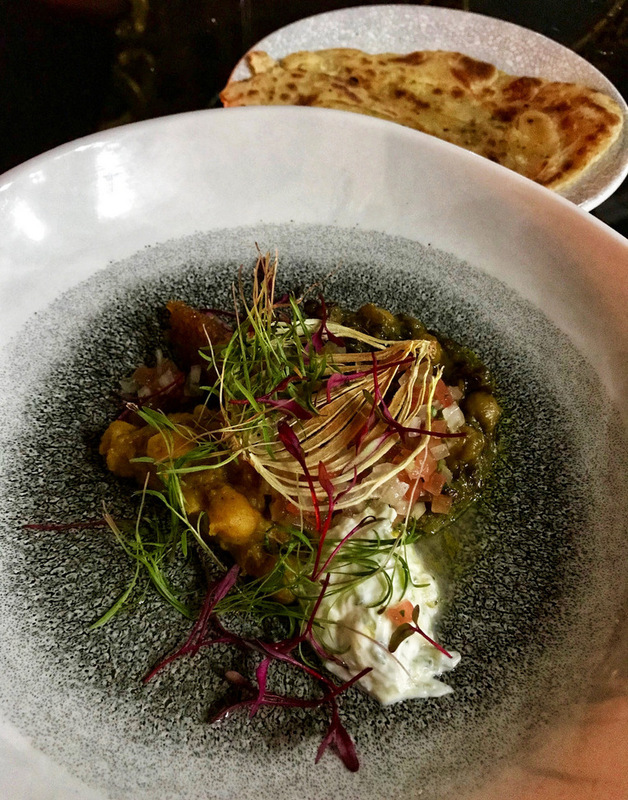 Sweet & sour chickpea dhal & parantha (R55) – a simple sounding dish for sure, but definitely another highlight for me from the evening. Plus at R55, this dish is major bang for your buck. 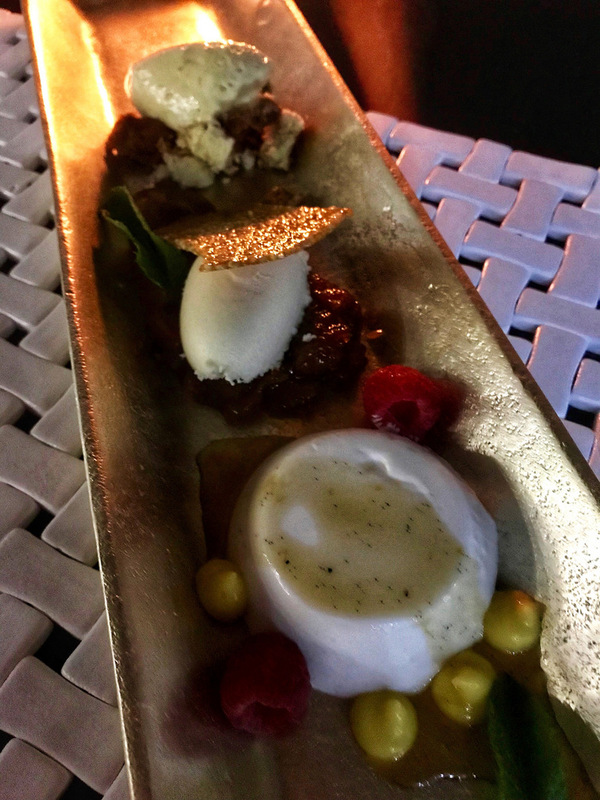 A trio of desserts: 1) White chocolate, miso, sesami & 2) organge; coconut, passion fruit, falernum, mango & raspberry; 3) ginger, honeycomb, cheesecake, ginger bush, cinnamon – I was pretty stuffed by this stage, so only had a bite of each. But they were all lovely. Overall, I really enjoyed the food & would go back for that alone. On the service side, the team was friendly & attentive and knew the menu well, which allows them to make some good wine recommendations too. You can check out all the menus over here (including their sushi & cocktail menus). 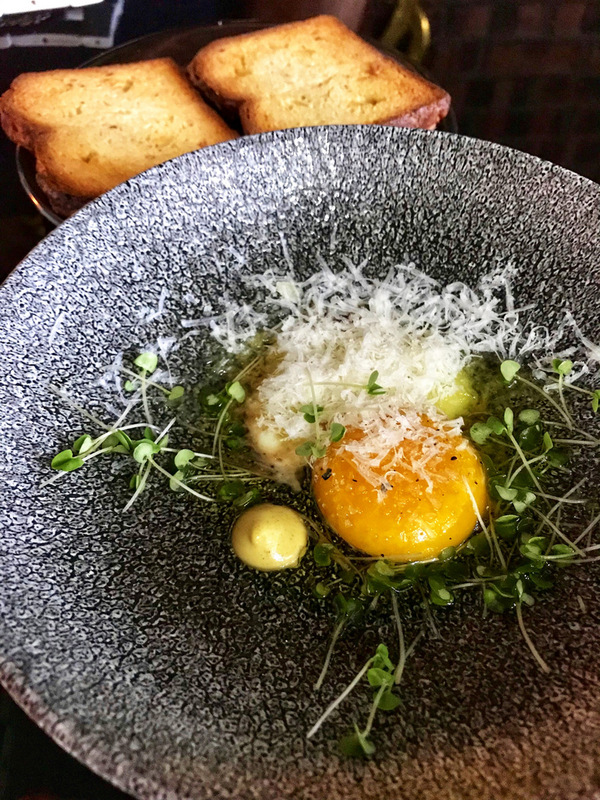 As with tapas in general, price-wise things do add up, especially if you’re wanting to try a couple of things, but I still felt that their prices were on par with what one would expect to see for this type of meal. If you’re clever with your choices however, you can definitely stretch your Rands a bit further. My final summary would be: A bit out of the way (unless you live that side of course), decor isn’t going to be everyone’s cup of tea, but good food & lovely service. Based on the food & service alone, I’m going to give the Phantom Taste Room at Purple Rayn a score of on my Miss K Kiss-o-Meter scale.